Build customised branded emails to help you connect and grow your contact database. 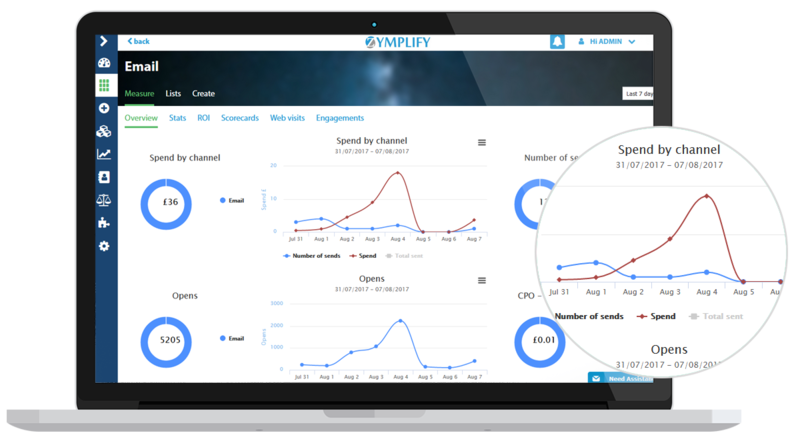 Zymplify allows you to personalise each individual email with the relevant content for targeted audiences. 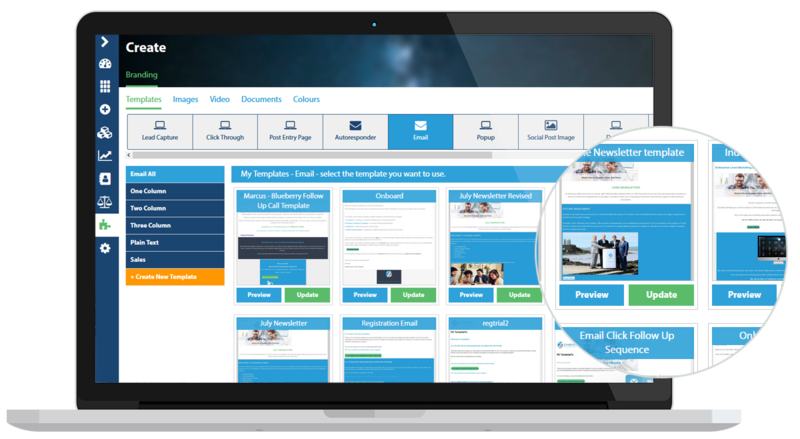 With multiple templates to chose from, you will find the template that works best for your business and your customer messaging. Sending out email campaigns, but finding it hard to justify any return on investment? With our Integrated campaigns, you have the ability to attach additional collaterals to your email campaigns. With the use of landing pages, allow your audiences to engage with your emails with all engagements being automatically recorded in real-time within your dashboard. Using our email analytics will allow you to see which email sends are performing best for you, as well as giving an insight into how well you're connecting with your audience. With our integrated landing pages you have the ability to track how many leads and engagements you have converted to sales, based on each individual email send. 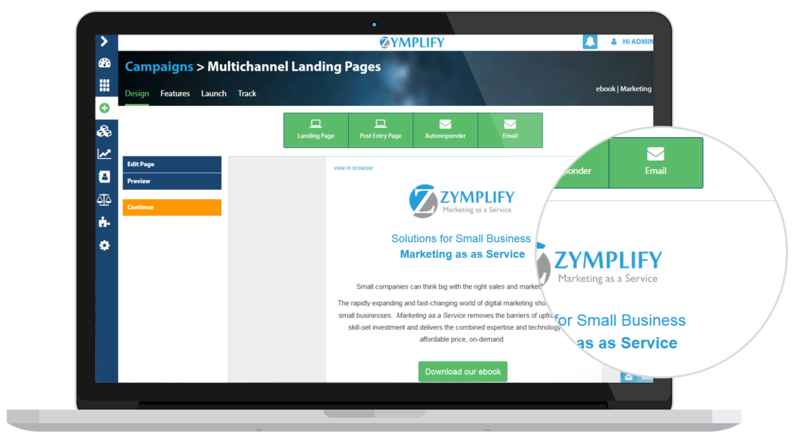 With Zymplify's website tracking code installed on your website, you have the ability to track how many contacts are visiting your website after receiving your email. View a breakdown of the specific contacts that are navigating to your website, as well as the list of pages they view. 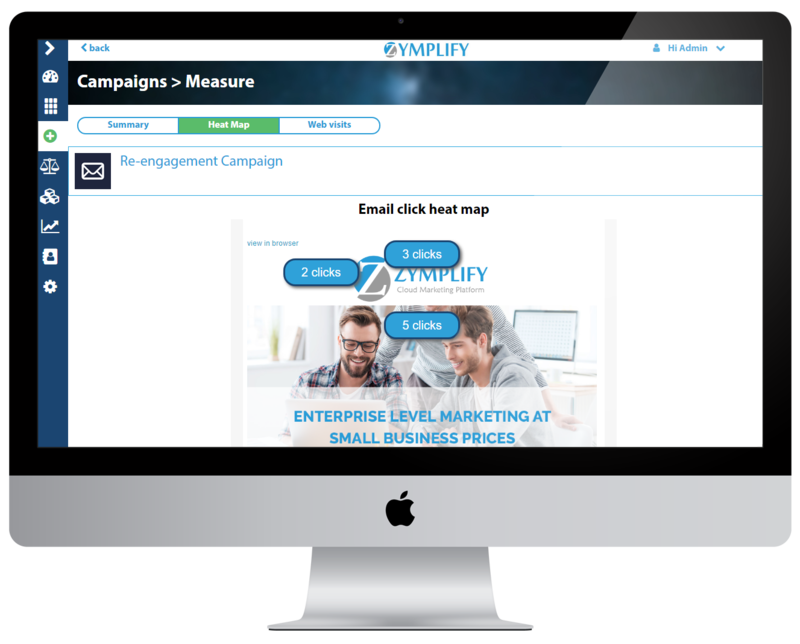 Zymplify offers a visual heat map report for each individual email send from the platform. The report shows which links on the email were clicked as well as the actual individual who clicked on which link. Create targeted email lists based on these clicks for future marketing.